Popularity of coconut water is growing. You might be surprised to know that its reputation is growing in the food stores. Water comes from green fresh coconut. Pulp increases when coconut size increases which is used for coconut milk not for coconut water. You get nutrients from coconut water but sometimes it is not useful for you. 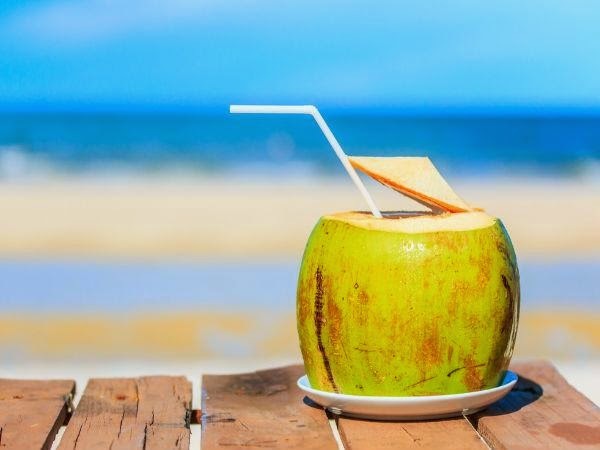 It is not considered a good drink for players: If you drink coconut water to quench your thirst after exercise then you should drink water instead of coconut water. Because plain water has high amount of sodium compared to coconut water. And sodium is helpful in re-hydration. Increase your calories: However, coconut water would not have greater amount of sugar compared to other sports drinks and fruit juice. It has a great amount of calories. 11 ounces coconut water contains about 60 calories. Therefore, it is not harmful to reduce calories. That is why you are advised not to drink large amounts of coconut water. Not suitable for people with allergy problem: Some of us have a problem of allergies. We are allergic to certain foods and components therefore we should avoid them. Similarly, some people may be allergic to coconut water. In fact, coconut has one tree. Therefore, people who have a problem with allergies to substances from trees they may be allergic from coconut water. It means that people who are allergic to tree nuts they should no drink coconut water. Diuretic properties: Intake in excess of the coconut water may harm you. Coconut water has the diuretic properties. This means that you may need to take a break and go for pee by taking large amounts of coconut water. However, it has hydrating properties but intake of large amounts may be unhealthy. Imbalance of electrolyte: Coconut water has large amounts of potassium which makes a wonderful drink. But if it is consumed in large amounts then it can be deadly. In a typical case, a person who spend the whole day playing tennis in 90-degree temperature Fahrenheit. He drank 88 ounce of coconut water after that he face the problem of hyperglycemia. Hyperglycemia is the problem of weakness and dizziness. A person becomes unconscious in a few minutes.